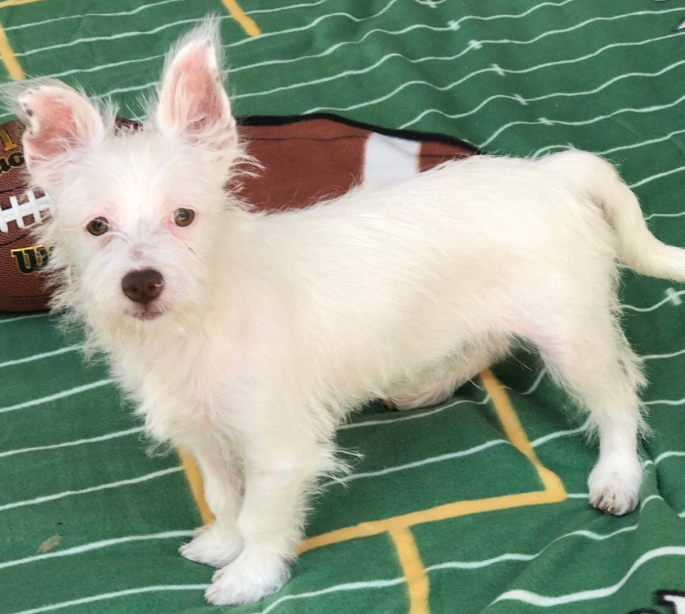 Our Pet Pick, George, is a 7-month-old Terrier-mix puppy and he’s looking for his forever home. He’s actually part Chihuahua, Miniature Poodle, Miniature Pincher, Pomeranian, Terrier and whatever else. But he is 100% lovable and very affectionate. He is our very own Battle Born superstar and Puppy Bowl Contender. He will be on Animal Planet on February 3rd for Puppy Bowl XV. As always, please bring any other dogs and mature kids with on your meet and greet with George. George will make his debut at 1:15 this afternoon, Thursday, at Subaru of Las Vegas. They are located at 6455 W Roy Horn Way, Las Vegas, NV 89118. We will be streaming it live on our Facebook page: KXNT Newsradio.